The Lake Biwa Mainichi Marathon held in Otsu, Shiga, is one of the prominent Japanese marathon races of the year. It is a male-only competition and has IAAF Gold Label status. 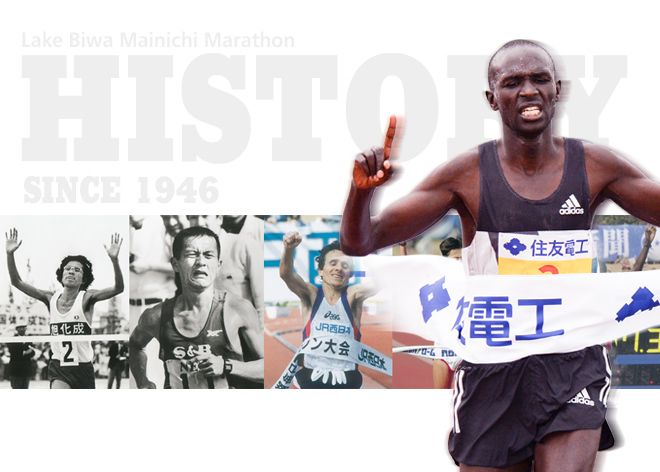 It was first held in 1946 and, having taken place every year since then, it is Japan's oldest annual marathon race. 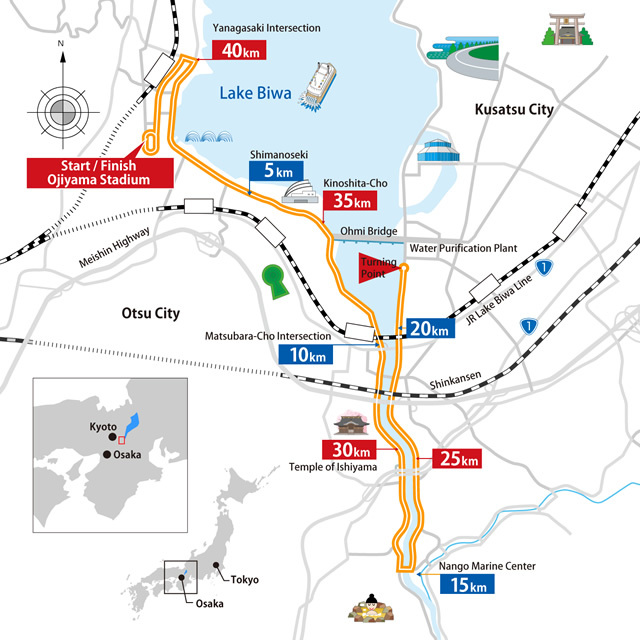 The early editions of the race were held in Osaka until a switch to Tokyo occurred for the 1963–65 marathons, and all subsequent races thereafter were held in Ōtsu, near Lake Biwa, where the race gets its name. It is sponsored by Mainichi and was known simply as the Mainichi Marathon for a period. The race begins and ends at the Ojiyama Stadium. 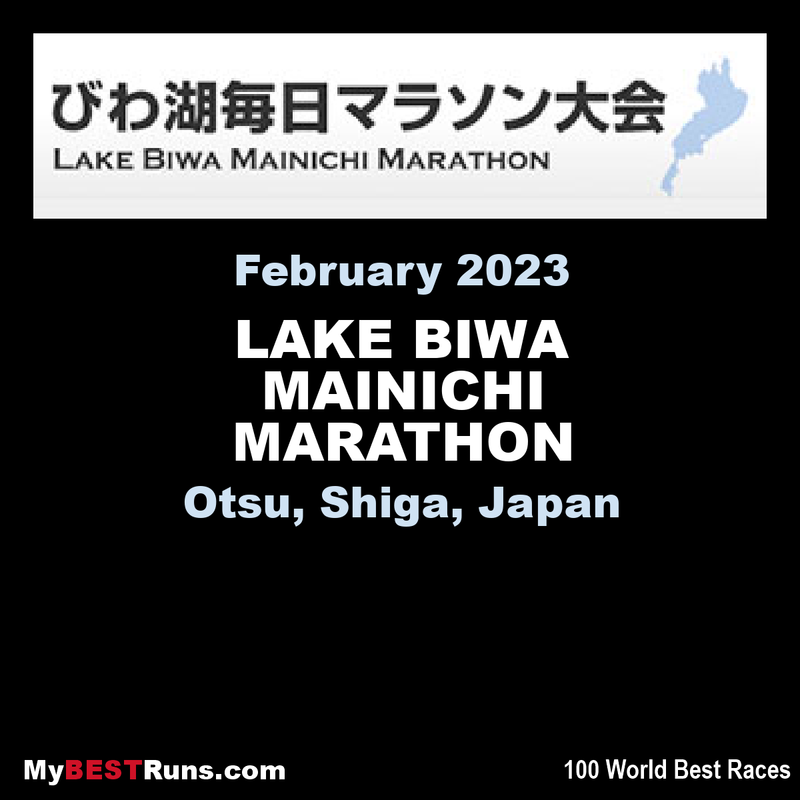 The Lake Biwa Marathon has been selected as the Japanese national marathon championships on dozens of occasions, starting in 1960. The current course record for the competition is 2:06:13 hours, set by Wilson Kipsang at the 2011 edition. OSAKA – Shogo Nakamura led the Japanese runners in the Lake Biwa Mainichi Marathon on Sunday, finishing in seventh place behind winner Macharia Ndirangu of Kenya. Nakamura finished the sunny Shiga Prefecture race in 2 hours, 10 minutes and 51 seconds, while Ndirangu crossed the tape with a comfortable lead in 2:07:53. Kenyan Albert Korir (2:08:17) beat his personal best for second, and New Zealand’s Jake Robertson (2:08:26) broke a 34-year national record to finish third. Besides Korir, Nakamura and the top three runners were all making their marathon debut. The result earned Nakamura a spot in next year’s Grand Championship, a qualifying race for Japanese runners for the 2020 Tokyo Olympics. Masato Imai and Takuya Noguchi finished ninth and 10th, respectively.